If you are nodding your head and chuckling as you relate to these problems, it’s time to focus on this new era of KM and deal with the elephant—because that beast isn’t as big as you think! Powerful search and access to the right information in a timely fashion is possible. 1. Use a cloud-based solution to ensure rapid implementation (infrastructure and application) and minimize demands on IT upfront and ongoing. 2. 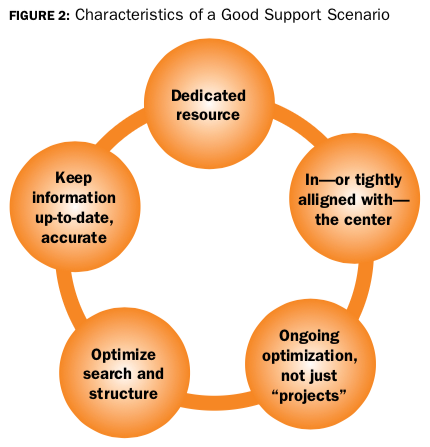 Leverage vendor expertise to overcome the inertia of getting started. With proven implementation methods and tools, a skilled vendor can help you populate, organize, structure, and tag your information and get you on a path to production quickly. 3. Build user confidence and proficiency by demonstrating the ease with which they can find, consume, and rate information. With a great user interface and powerful search to access concise, well-structured content, agents succeed without excess training, specialization, or heavy reliance on others. 4. Optimize the solution using reports, workflows, feedback, intelligence and automation to identify changes and improvements that will enhance the user experience—and customer experience—every day. In spite of rumors to the contrary, the need for agents is as strong as ever. Contact Centers are planning for growth (agents! ), even as the Artificial Intelligence hype train rambles on. Strategic Contact’s technology survey shows growth as a top driver for acquiring technology for 40% of participants. In addition, 58% seek to fill feature/function gaps—and KM is undoubtedly a big one (“2018 Contact Center Technology Survey Reveals Critical Needs,” Contact Center Pipeline Special Report, July 2018). Centers are moving to the Cloud for a variety of technology solutions. 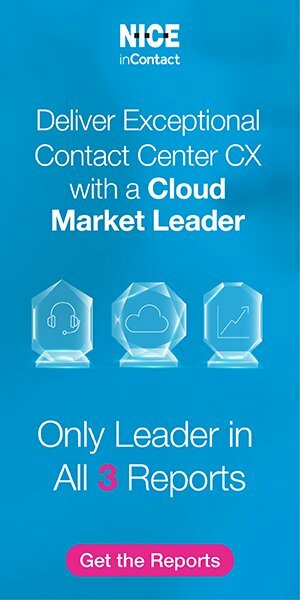 Analyst firms such as Forrester and DMG, as well as vendor surveys, show the cloud contact center technology market growing. Our survey agrees, showing very few shying away from cloud technology. In fact, about one-third have cloud solutions and a majority would consider them. Combine that eagerness to use the cloud and the top implementation challenges people are trying to address—integration and the shortage of IT/telecom resources—and the opportunity for an easily integrated, cloud-based KM is strong. Digging deeper into KM specifically, we note it ranks high on the “Top Priorities” list but also looms as a tool to combat many of the “Top Challenges” we see in our annual survey (“Contact Center Challenges & Priorities for 2018,” Contact Center Pipeline Special Report, January 2018). In our most recent results, 18% indicated they want to improve knowledge management access, content, and processes. Arguably, that number would be higher if more believed this “elephant” could be moved. KM is also a top enabler to help agents succeed on target performance metrics. It can improve FCR, perhaps one of the “hottest” metrics. It can reduce Average Handle Time (AHT), something that can easily creep up with the increasingly complex and diverse contacts that agents handle and can have a huge impact on performance in other key metrics like service level. Add improved self-service based on good knowledge sources to those handle time and FCR improvements and the overall workload declines, boding well for every center under pressure to reduce its costs. All this agent success and cost savings for the center and the company comes with a tremendous bonus: customer satisfaction. Whether your focus is the customer “journey” or “experience” or you really want the customer to give you a big thumbs up on a customer satisfaction survey, good KM optimizes the customer experience on first touch, with consistent, accurate information that is easily acquired and processed, no matter what channel they choose to use.